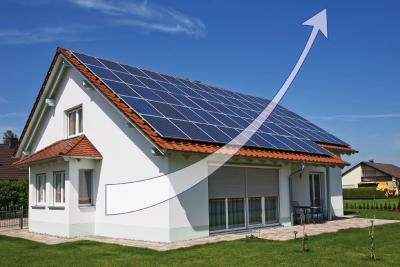 The increasing need for renewable energy in Germany is boosting consumer demand for rooftop solar power systems. Instead of selling these systems, however, MEP Werke has created a “leasing instead of buying” model that enables every homeowner to actively participate in the energy revolution. Ever since MEP Werke began offering this service an increasing number of German households have decided to lease a solar power system. NIBC recognized this trend and decided to participate in this promising growth market by offering an innovative financing program with one of the leading providers of solar power systems for lease, MEP Werke GmbH. Konstantin Strasser, CEO of MEP Werke GmbH, says, “We are excited that NIBC Bank Deutschland AG has decided to place their confidence in us. Their decision strengthens our resolve to build on the progress we have made with our solar power lease plan and further the energy revolution. This innovative financing will enable us to continue to expand our successful concept and help the idea grow”. MEP Werke has founded a special purpose vehicle (SPV), Deutsche Ökostrom Ltd., to finance its photovoltaic leasing systems. This loan will help Deutsche Ökostrom Ltd. in its purchasing activities in order to boost portfolio growth. The financing structure gives new institutional investors and capital market investors the opportunity to get involved at a later point of time in order to further advance MEP Werke’s growth. The MEP solar Lease plan comes with an extensive insurance package provided by Allianz AG. Agreements signed with back-up service companies also contribute to the stability of the financing structure. Ulrich Bogner, Director Corporate Finance/M&A and responsible for structuring financing at MEP Werke GmbH, comments on the financing programme: “This financing structure is the first of its kind in Europe. It is a truly innovative financing programme for the MEP Group, which we have developed in collaboration with Rick Gambetta, Managing Director of Hexagon Finance and Advisory Ltd and NIBC using the best securitisation and structuring practices available. This financial scheme will make it possible for many more households in Germany to have access to our solar power system lease plan, making self-generated solar energy affordable”. 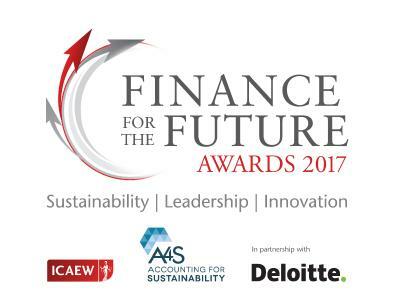 Hexagon acted as the MEP Group’s financing advisor. The transaction is the first structured financing solution targeted at leasing on the German market. 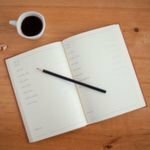 As the first third-party financing for this successful business model, the project has proven to be great foundation for future solar power system lease agreements as well as for the German photovoltaic industry. Visit www.mep-werke.de to find out more about MEP Werke GmbH and its products. NIBC is the bank of choice for decisive financial moments. Our Corporate Banking activities offer a combination of advice, financing and co-investment in the sectors Food, Agri, Retail & Health, Industries & Manufacturing, Infrastructure & Renewables, Commercial Real Estate, Oil & Gas Services, Shipping & Intermodal and Technology, Media & Services. Consumer Banking offers residential mortgages and online retail saving deposits via NIBC Direct in the Netherlands, Belgium and Germany. MEP Werke with registered office in Munich is a full-service provider of solar systems. The focus is on the decentralised energy supply of private households, but also on industrial buildings, agricultural enterprises and communities. Overall, the MEP Werke’s offer comprises three areas: the utilisation of solar systems at a monthly fixed price, the sale of solar systems as well as the sales of smart home systems. 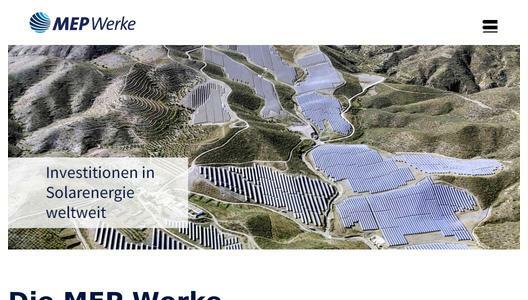 In addition, MEP Werke is continually expanding the offer of innovative and sustainable products in the field of renewable energies, and in addition to many years of experience in the solar market can also fall back on a broad network of competent partners. 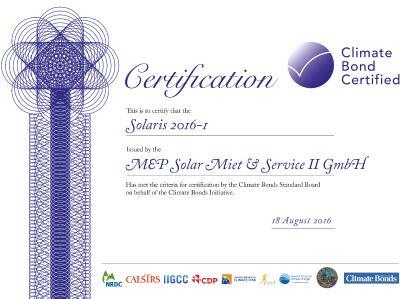 Climate Bond Standards Board verleiht erstem MEP Green Bond den Status "Climate Bond Certified"